Published: Feb. 11, 2013 at 06:21 p.m. 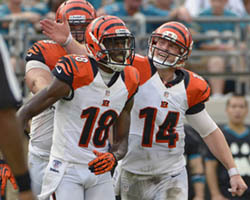 Updated: Feb. 11, 2013 at 07:01 p.m.
Titus Young was one of several former Lions featured in the team's 2013 calendar. Every year, thousands of young NFL fans receive a team calendar from their aunt who couldn't think of a better idea. 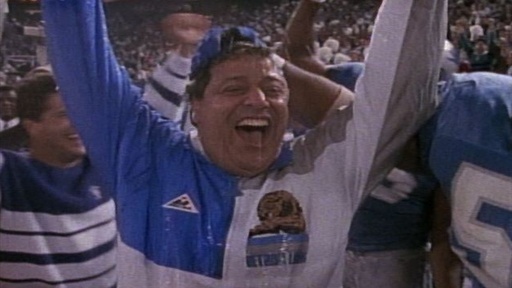 If you're one of those NFL fans, and your favorite team is the Detroit Lions, you might be in possession of a piece of unintentional comedy gold. 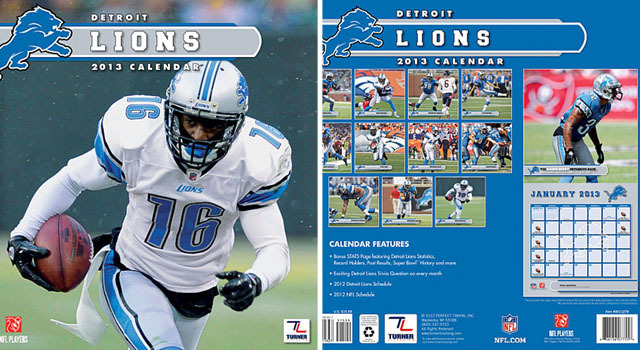 As FoxSportsDetroit.com pointed out, the Lions' official 2013 calendar is outrageously out of date. On Feb. 11! » Aaron Berry -- released way back in July following a parking lot gun incident -- is Mr. January. Starting off strong! » Defensive end Kyle Vanden Bosch is Mr. November. He was released last week. » Running back Jahvid Best is Mr. February. He hasn't played a game since November 2011 and likely won't play again due to concussion issues. » Titus Young -- suspended this season for behavior issues and subsequently released after a Twitter self-sabotage initiative -- is featured in December. Oh yeah, he's also on the cover. Take a look at how each team stands in regard to the expected $121 million salary cap in 2013. Things could get more grim in the next few months. Kicker Jason Hanson (May) might retire. Wide receiver Nate Burleson (March) is attempting to come back from a broken leg. Safety Amari Spievey (August) is an unrestricted free agent. But back to the cover. On a team that includes Matthew Stafford, Ndamukong Suh and Calvin Johnson, how was Titus Young selected as the player who would move the most units here? Wonders never cease. In any event, the calendar can be purchased here. We suggest you buy one and impress your friends on a Friday night.